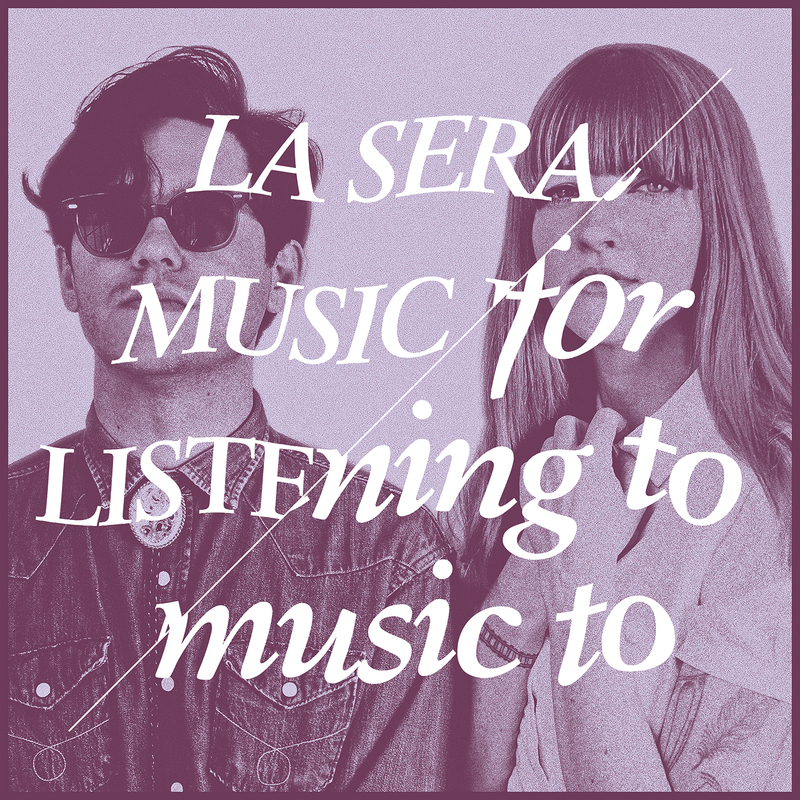 The title of La Sera’s fourth album says a lot by saying so precious little: Music For Listening to Music To. So, in other words, “music.” After the punky heft and wildness of 2014’s Hour of the Dawn, an LP that thrashed against expectation, Katy Goodman returns with a set of songs that double down on solid simplicity — the power of wry lyrics, glorious guitar, driving backbeat, and the occasional pump organ groove. And as the record cover gives away, Goodman isn’t alone. La Sera is a duo now — that’s guitarist/cowriter/new husband (!) Todd Wisenbaker standing up there. 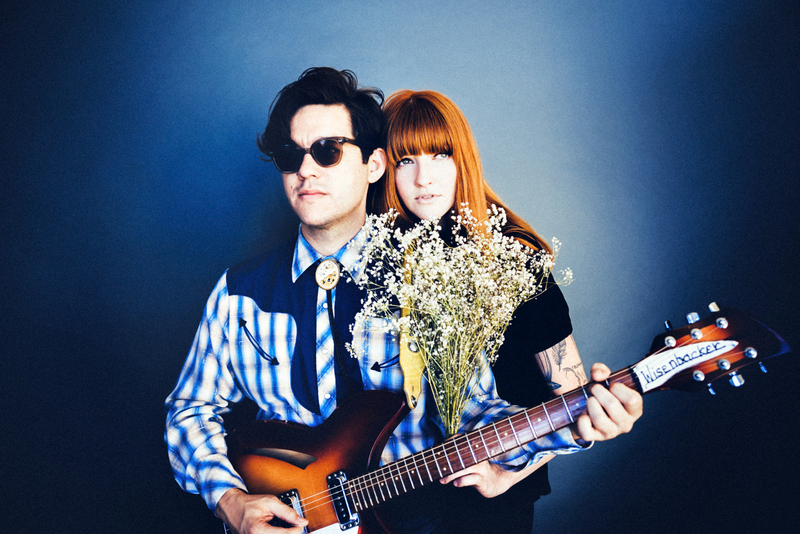 And Ryan Adams joins to produce the fruit of their union, La Sera’s first live-recorded analog album, featuring 10 tunes about good love, bad love, dead men, and confused kids. Music For Listening to Music To opens on “High Notes,” where rollicking guitar and punk drums chugga-chugga beneath Goodman’s assured coo. Her lines deftly wrap the snark of Morrissey inside the sneer of Johnny Cash, and if you ask her what her favorite parts of the new album are, she’ll tell you it’s the scrappy stuff. “Time to Go,” which hurdles out the gate on a rocket of slide guitar and elastic bass, is another one aimed at settling old accounts — just ‘cause our heroine is happily married doesn’t mean she can’t take swings at those who came before. Goodman says Adams’ excitement about taking La Sera into the analog realm inspired her to embrace the back-to-basics approach. 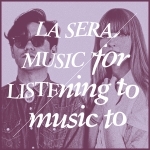 Considering that, it’s the slower, more spacious tracks — like the spare and moody “Begins to Rain” or the grunge-kissed closer, “Too Little Too Late” — that best illustrate how far La Sera’s come since 2011’s self-titled bedroom-pop debut and 2012’s brighter (if still emotionally overcast) Sees the Light. Goodman’s knack for swoon and gloom, first heard via Vivian Girls, is only enhanced by the addition of Wisenbaker’s voice. As she sings on “A Thousand Ways,” arguably Music For Listening to Music To’s dreamiest song, “Love can do all of these things.” Knowing Goodman there’s a sly wink in there, but it’s easy to imagine, if only for a beat, that the carefree flame of the oldies La Sera hold so dear still burns here.